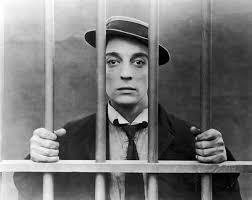 November is Buster Keaton Month! The Great Buster: A Celebration – Ottawa Premiere on November 23rd! A celebration of the life and career of one of America’s most influential and celebrated filmmakers and comedians, Buster Keaton, whose singular style and fertile output during the silent era created his legacy as a true cinematic visionary. From the BAFTA winning, and Oscar and Golden Globes nominated director / writer of The Last Picture Show, Paper Moon, and What’s Up Doc! Venice Film Fest: Best Documentary award winner! Don’t miss 4 newly restored Buster Keaton classics throughout the month! A celebration of the life and career of one of America's most influential and celebrated filmmakers and comedians, Buster Keaton, whose singular style and fertile output during the silent era created his legacy as a true cinematic visionary.